Are you GEARed up? In a world where the future is at our fingertips, Samsung is inviting developers to take technology to the next level by creating innovative, functional, and original apps for the Samsung Gear 2. 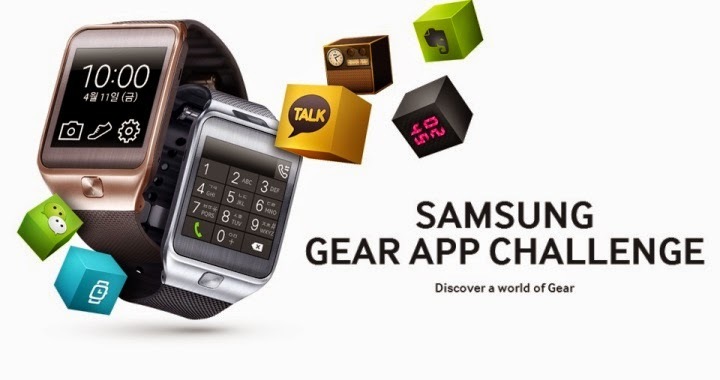 The Samsung Gear App Challenge is part of the series of “Samsung Smart App Challenges” which began in 2012. Over two rounds, developers will have the chance to win $1,250,000* in total prize money, as well as promotional exposure for their apps through Samsung’s global marketing channels. Round 1: Developers around the world are invited to submit applications developed with the Samsung Gear Dev Tool. The top 200 finalists will be selected by a panel of judges, and each will receive $2,000 in prizes. Round 2: In Round 2, the finalists from Round 1 will be invited to compete again for more prizes and exposure. Developers will have additional time to improve and modify their apps. Judges will select the top 40 applications and those winners will receive a total of $850,000 in additional prize money and marketing exposure for their apps. Grand prize, Second prize, and Popular Choice award winners will be announced at the Samsung Developers Conference mid-November, 2014. *The total prize amount of $1,250,000 assumes that 200 applications will be submitted. In addition to the $100,000 cash prize, winners will also receive marketing and promotion support from Samsung including invitations to Samsungs’ major developer events. Sign up for a Samsung GALAXY Apps Seller Office account – required for distribution on Samsung Apps. For more information on detailed requirements, click HERE.